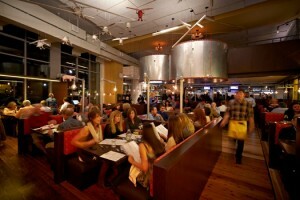 The restaurant is part of Comstock’s Reston Station. Updated at 9:35 on Jan. 10 — Includes McCormick & Schmick’s. Four restaurants in Reston are among the 250 places in Virginia, Maryland and D.C. on the roster for Winter Restaurant Week in January. Winter Restaurant Week will run from Monday, Jan. 14, to Sunday, Jan. 20, with prix fixe menus — $35 dinner and $22 lunch. 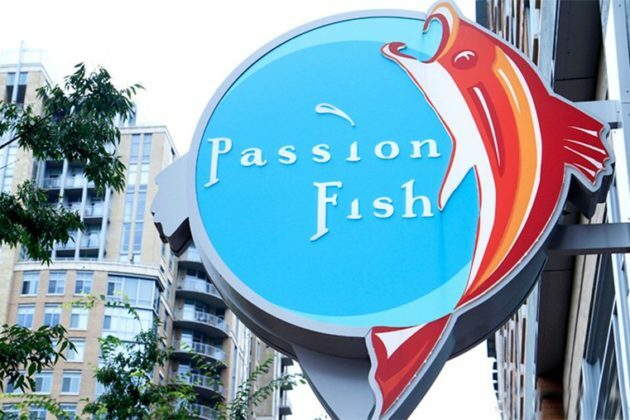 Restaurant Association Metropolitan Washington announced yesterday (Dec. 20) that Founding Farmers, The Melting Pot and PassionFish will offer both lunch and dinner during the event. 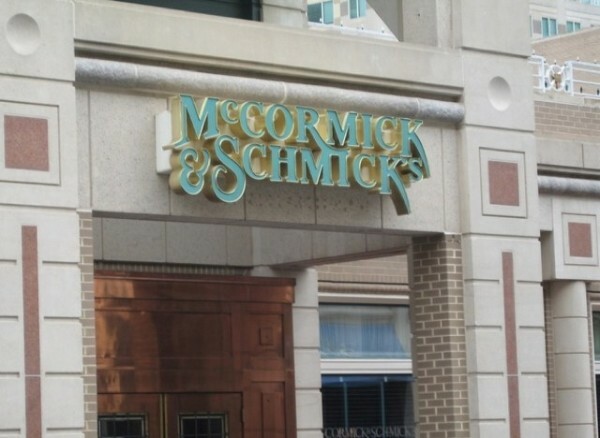 McCormick & Schmick’s is also on the roster as of Jan. 10, 2019. Two of the restaurants have certain restrictions. Located at 1904 Reston Metro Plaza, Founding Farmers will have its regularly priced buffet brunch instead of the prix fixe lunch available from 9 a.m. to 2 p.m. on the weekend of Jan. 19. 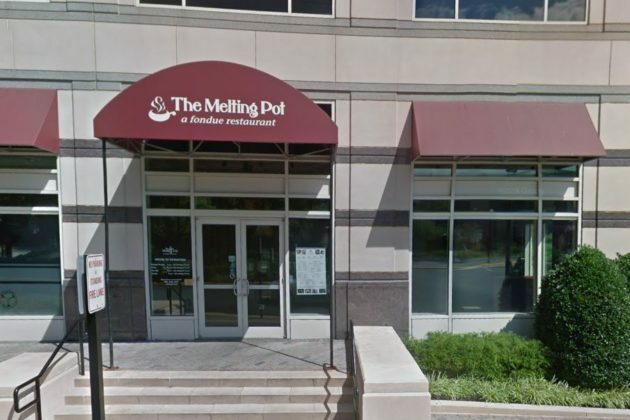 The Melting Pot, a fondue restaurant located at 11730 Plaza America Drive, Suite 100, will not allow diners to share or split entrees or ask for substitutions. Seafood-focused eatery PassionFish at 11960 Democracy Drive and McCormick & Schmick’s at 11920 Democracy Drive do not have any dining restrictions posted on Winter Restaurant Week’s website. 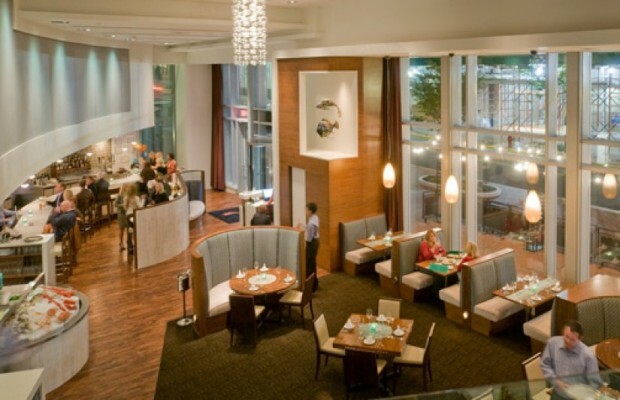 Several Reston restaurants will participate in this year’s Metropolitan Washington Restaurant Summer Week, which begins on Monday (August 13). 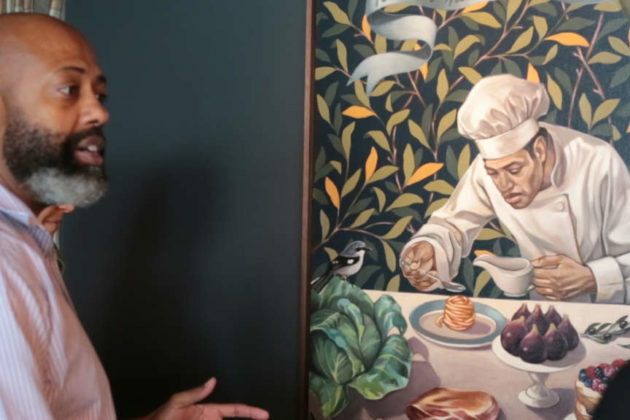 Restaurants throughout the greater Washington region will offer three-course lunch and brunch menus for $22 and a three-course dinner for $35 at fixed prices. The annual event is sponsored by the Restaurant Association of Metropolitan Washington, a regional trade association that represents restaurants and the foodservice industry in the DC-area. Special menus for the week, which runs from Monday through Aug. 19, are available online. Renovations were underway last month. The restaurant feeds directly into foot traffic from Metro. 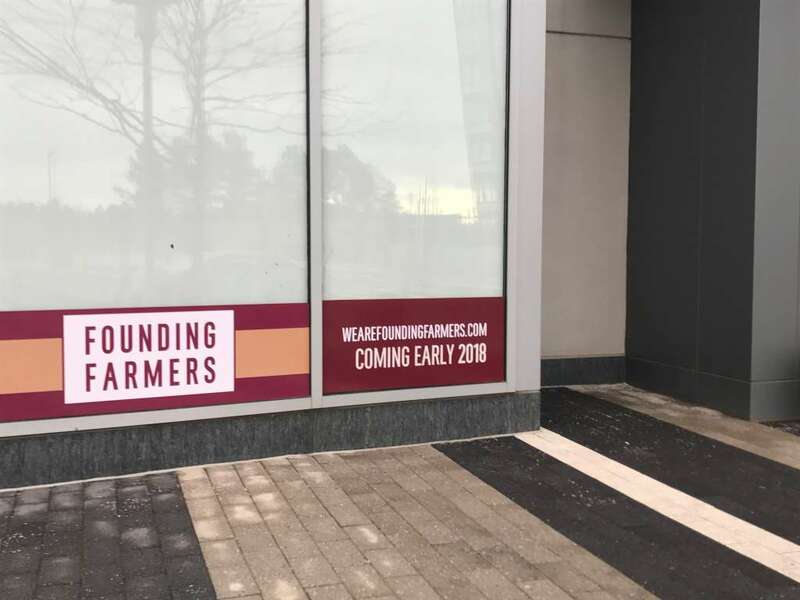 Founding Farmers, a restaurant owned by Farmers Restaurant Group, will open on April 11 at Reston Station, a major mixed-use development by Comstock. 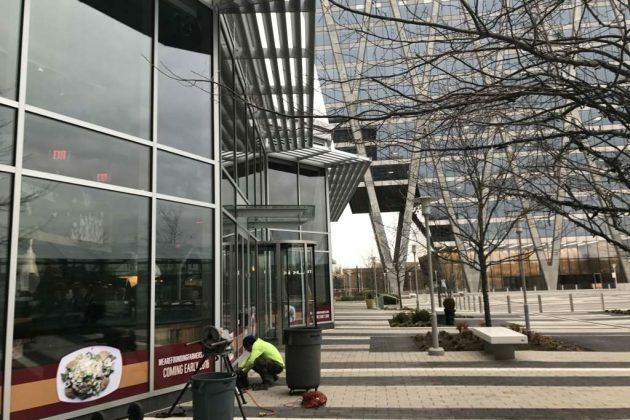 The restaurant, which pushed back its opening date several times since 2016, will take up a two-level, 10,000 square foot location at 1904 Reston Metro Plaza. The location features a private dining space to seat 40-50 people, a large mezzanine, and a bar with cocktails from their D.C.-based distillery. Their First Bake Cafe will offer freshly-baked goods, sweets and a Compass Coffee blend. The cafe is designed for Metro users and others who looking for a quick bite. The second floor is dedicated to the kitchen, requiring staff to speed up and down stairs to serve orders. The build out was complicated by a lengthy permitting process and the unique design of the restaurant, which requires an elevator due to limited space for loading fresh deliveries, staff said. Parking, which is not free at Reston Station, will be validated. Valet parking will be offered for $3, allowing guests to pull up their vehicles at the plaza. No word yet on when Sweet Leaf, a community cafe near the Founding Farmers location, will open. 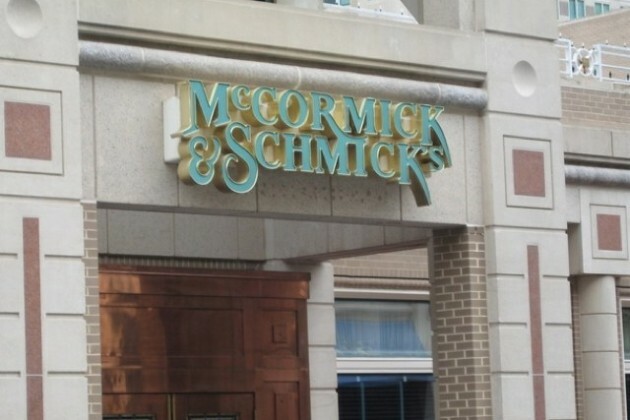 The restaurant has other locations in the District, Tysons Corner, Montgomery County, Md., and King of Prussia, Pa. 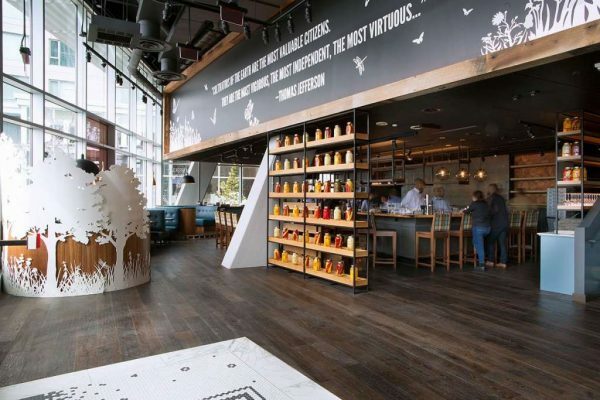 Founding Farmers has pushed back its opening at Reston Station until mid-2017. The Washington Business Journal reports that that the restaurant will be delayed until next summer. It was exactly a year ago this week that Founding Farmers announced its plans to open a 10,000-square-foot restaurant in Reston. 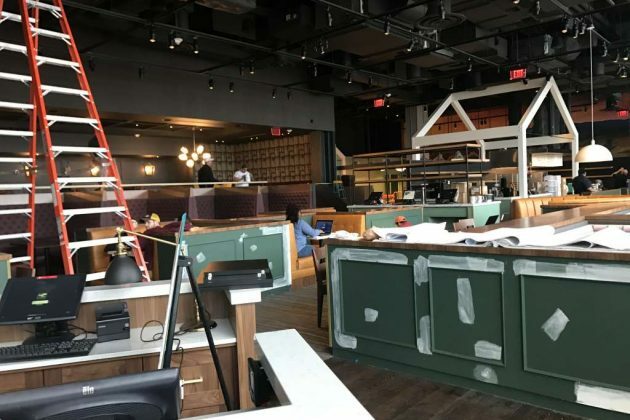 Initial estimates from Reston Station developer Comstock and Founding Farmers said the opening would be late 2016 or early 2017, but a peek into the the space last week showed it is still empty and no work has begun. Founding Farmers will have a large mezzanine, which is complicating the construction permits, Farmers Restaurant Group CEO Dan Simons said. “The combination of engineering complexities (we’re building a fantastic mezzanine) and the typical permit process labyrinth combined to push the timeline longer than originally planned,” he told WBJ. Founding Farmers Reston will be on the ground floor of a planned 200-room hotel at Reston Station. 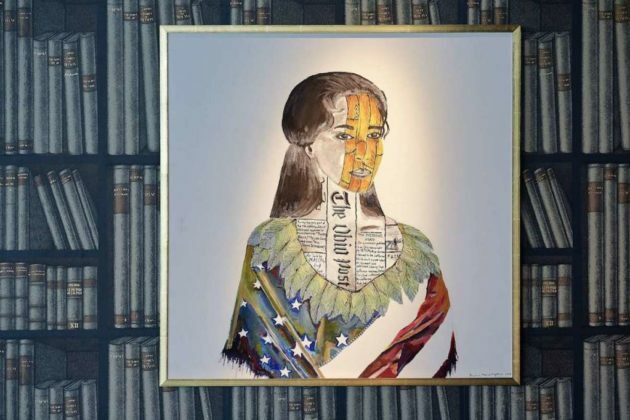 No hotel tenant has been signed yet. 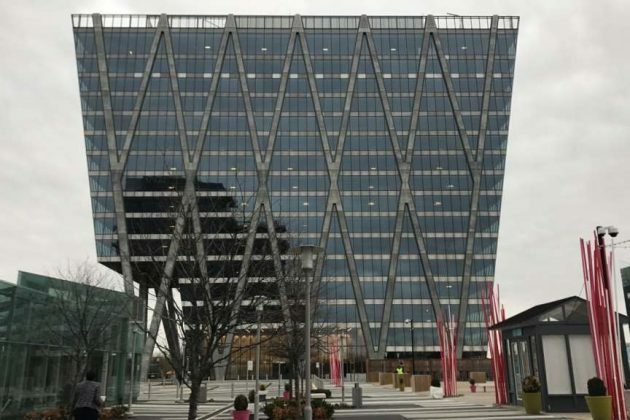 Comstock, which is developing Reston Station, is also hoping to sign a large, upscale restaurant for the ground floor space of the office tower that is currently under construction on the plaza. Farmers Restaurant Group, which has restaurants in DC, Maryland and at Tysons Corner in Virginia, is preparing to open a new property, Farmers & Distillers, in DC. Reston will be getting a local outpost of Founding Farmers, the local chainlet of farm-to-table restaurants. 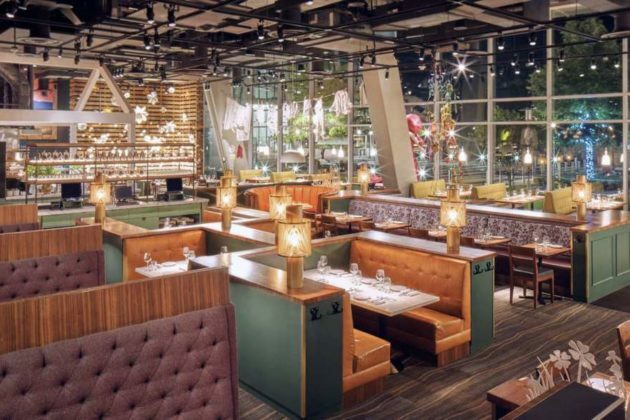 Comstock Partners confirms that the Farmers Restaurant Group has signed a lease to take over almost all of the current retail space at Reston Station. The 10,000-square-foot restaurant is in the design stage, says Comstock spokeswoman Maggie Parker. The retail space was completed prior to the opening of Silver Line in summer 2014. It has not had a permanent tenant, but has been used for special events in the months since. 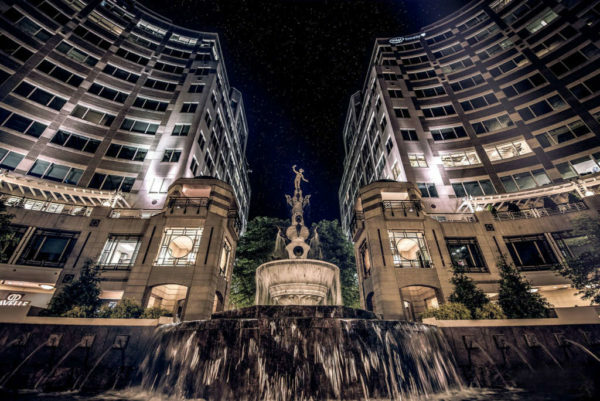 Comstock late last year announced a new concept — The Stock Market @ Reston Station — that would bring retail and food booths to the space. The deal fell apart in July, however. The restaurant space will eventually be the first level of a future hotel at Reston Station. Reston Station is Comstock’s mixed-use project that sits atop the 3,300-space underground parking garage adjacent to the Wiehle-Reston East Silver Line Metro station. Founding Farmers is expected to open in Reston in late 2016, after the company opens Farmers & Distillers, a 12,000-square-foot restaurant with in-house distillery , planned for 600 Massachusetts Ave. NW in the District, Parker said. 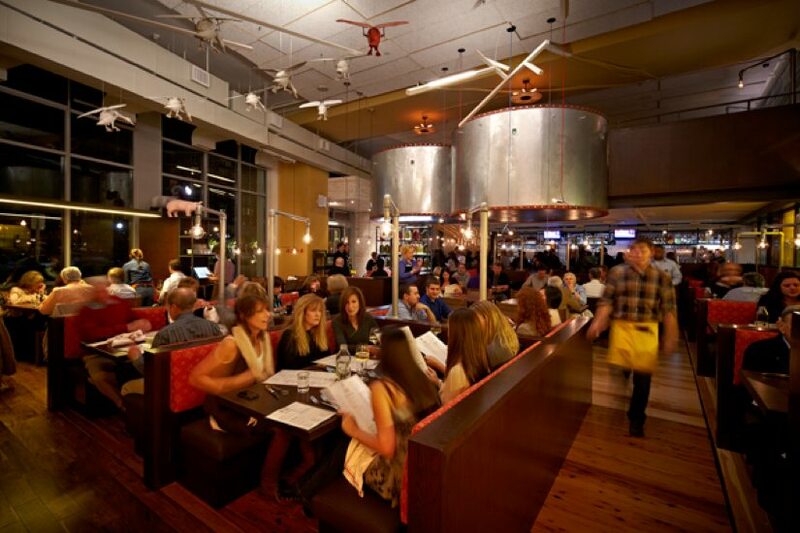 Founding Farmers other locations include breakfast, lunch and dinner service; meats from an in-house butchery; local craft beers; Virginia oysters; and a selection of locally distilled liquors. 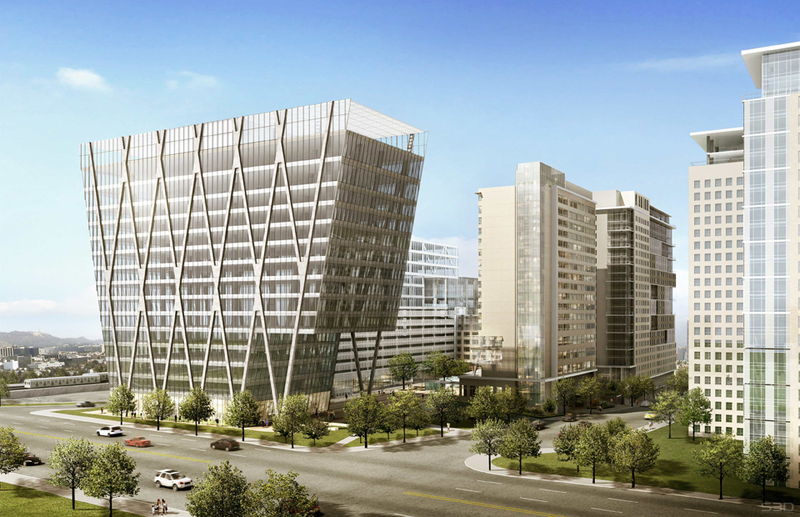 Comstock is also slated to start work on Reston Station’s first office building soon, said Parker. The 16-story, 365,000-square-foot building, designed by architect Helmut Jahn, will have, among other amenities, a rooftop helipad, and plaza-level retail. 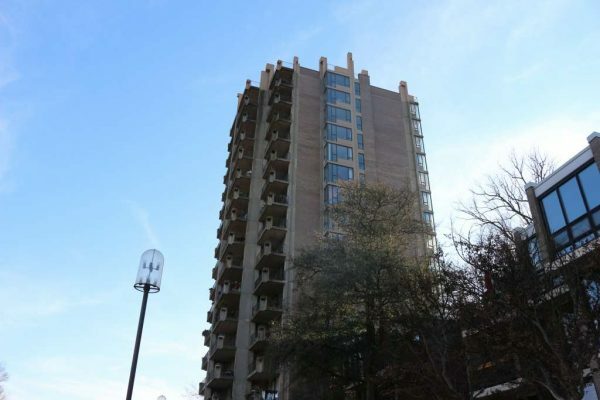 The BLVD at Reston Station, the 528-unit luxury residential building by Comstock, will open a pre-leasing center soon in a small portion of the retail space on the plaza, said Parker. The building expects to have its first residents early in 2016.